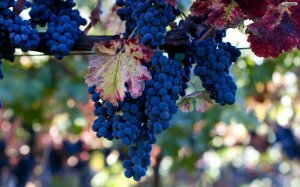 Weekday arrivals Sun., Mon., & Tues.
Special accommodations at the historic Hotel La Rose with wine tastings with elite wineries. 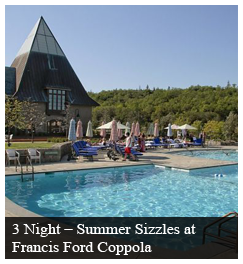 And yes indulge in a day of fine wine, food and swimming at the extravagant Francis Ford Coppola Winery a wine destination Influenced by Tivoli Gardens in Copenhagen a must see place! 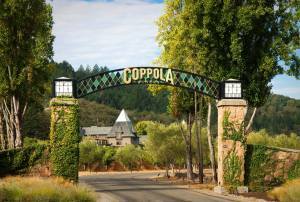 Director Francis Ford Coppola’s design for an aw inspiring wineland came to life in the Alexander Valley. 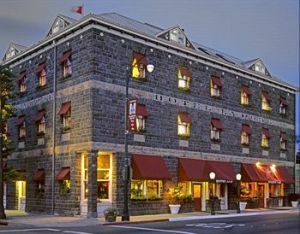 Your accommodations will be with the Hotel La Rose a beautiful National Trust Historic Hotel of America. Celebrating over 105 years of hospitality with the rich history of the 1907 Santa Rosa's Historic Railroad Square era. 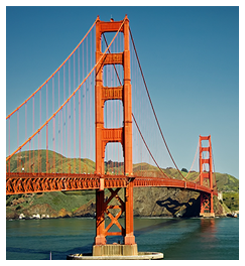 It’s timeless historic charm and modern luxuries will make you feel right at home. 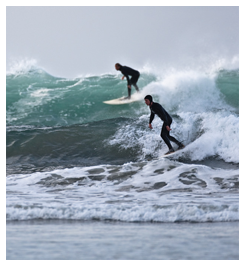 A true boutique hotel just steps away from wine bars, music, fabulous restaurants and events year round. 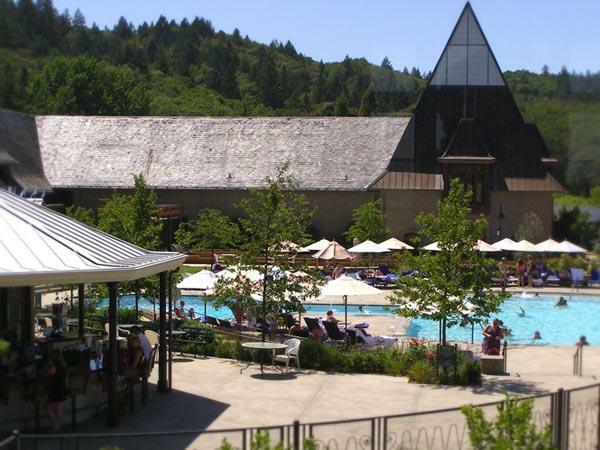 Settle and relax as you're day at Francis Ford Coppola Estate winery will leave you spellbound. Experience great wine ambiance like no other and yes a day lounging around a fantastic pool with personal changing room cabin with showers. This iconic winery hosts two swimming pools totaling 3,600 square feet are connected by a 'swim-through' where small jets create a water bridge to swim under. You'll have four pool passes that includes lounge chairs, towels and a wine tasting poolside. Also take time to check out their bocce courts and boutique shopping while your here. 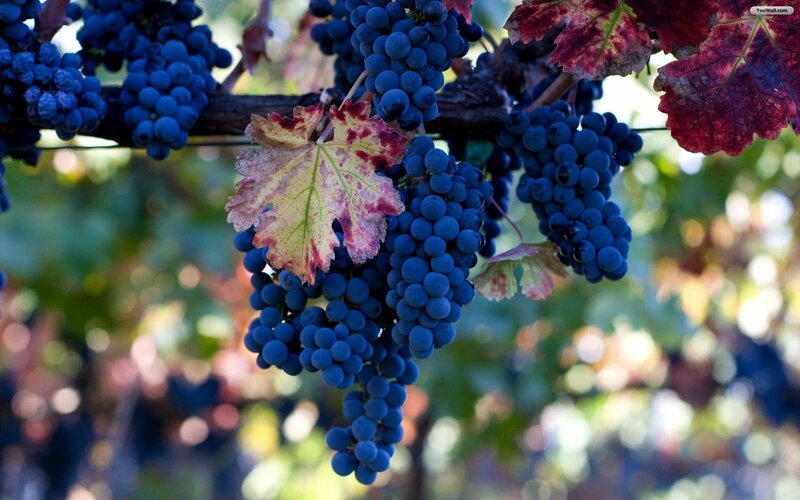 We can't wait for you to indulge in their varietals that offer a brilliant twist on Francis himself. Lots of memorabilia too include the Oscars that Francis Ford Coppola won for The Godfather are throughout the winery for you to enjoy. The 1948 Tucker Sedan in the famous movie is on display for you to enjoy. This winery is simply stunning with rich dark wooden finishes and grand staircases. We know you'll love the time you spend at Francis Ford Coppola. Dine on a late lunch at Rustic Francis's Favorite for a perfect traditional Italian and International cuisines as well as classic favorites like hamburgers and ribs. Bring a great outfit and style yourself up for a great afternoon. 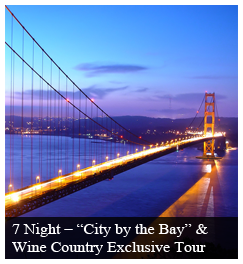 Each of the wineries chosen brings something special to this wine country package. Ferrari-Carano Vineyards & Winery invites you to sample their award winning Fumé Blanc, Tré Terre Chardonnay, Cabernet Sauvignon and Eldorado Noir all while perfectly paired with delectable seasonal bites. 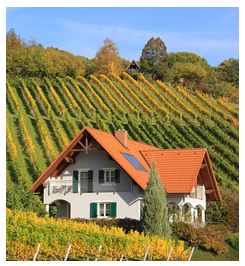 This highly recommended winery is beautiful as their grand estate just beckons you as you pull up. Their Villa Fiore Shop & Tasting Center offers stunning views with flowers galore all while surrounds you with an Italian flare. Enjoy their magnificent underground double vaulted wine cellar and learn the art and science of fine wines. 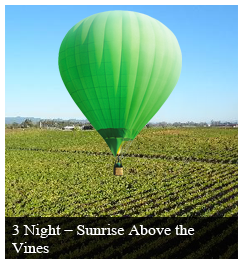 You will be enjoying their matchmaker experience with a very knowledgeable wine team member. 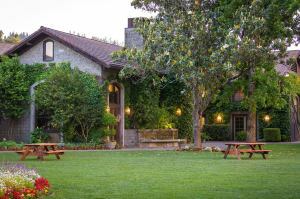 Don't just leave with a memory of this gorgeous winery in the Dry Creek Valley but a gift bag is waiting for. 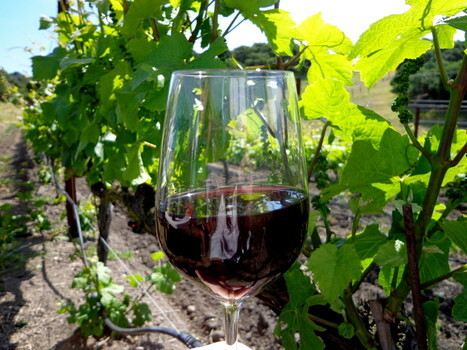 Their tasting highlights the many nuances of wine in a fun and informative style. Their wine, chefs cuisine, wine educators and of course the entire team at Ferrari-Carano is simply superb. Taste love and devotion that goes into every bottle produced. On your wine country travels the brilliant story of the Passalacqua Family Winery is a true family first winery. 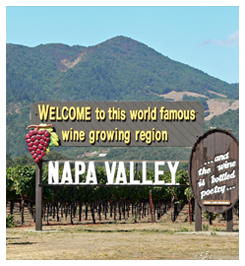 From it's roots in 1865, when Francesco Passalacqua emigrated from Genoa, landing in San Francisco and settling in Healdsburg, where he immediately planted grapes. In 1895 he opened Fitch Mountain Cellars. The original house and one half acre of grapes still stand on Fitch Street in downtown Healdsburg. In 1930, Francesco’s widow Rachel purchased the Oliveto Wine Company in downtown Healdsburg, and in 1933 her daughter Edith opened Sonoma County Cellars in the building. Edith was one of the first females to make wine and to own and operate a winery in California after prohibition, and she did so until her retirement in 1958. Aunt Edith’s original label design graces each bottle of their Estate Zinfandel. Your afternoon with Passalacqua Winery is sure to be filled with tasty flavors and aromas. 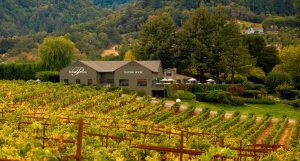 For legendary wineries the Dry Creek Vineyards is a brilliant winery that offers a very special story -it was the first new winery built after Prohibition in 1972 when David S. Stare opened the doors to Dry Creek Vineyards a dream came true and a legend was born. Sample fantastic wines that defy others handcrafted with history in mind and of course made with exceptional flavors and aromas. You'll dine for a gourmet lunch at Dry Creek Vineyards under a canopy of old pine and maple trees. 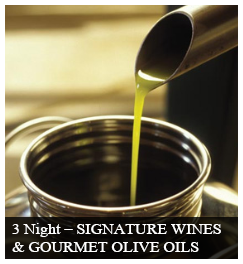 Impeccable wines await your palate reserve your tasting package today!